Q. 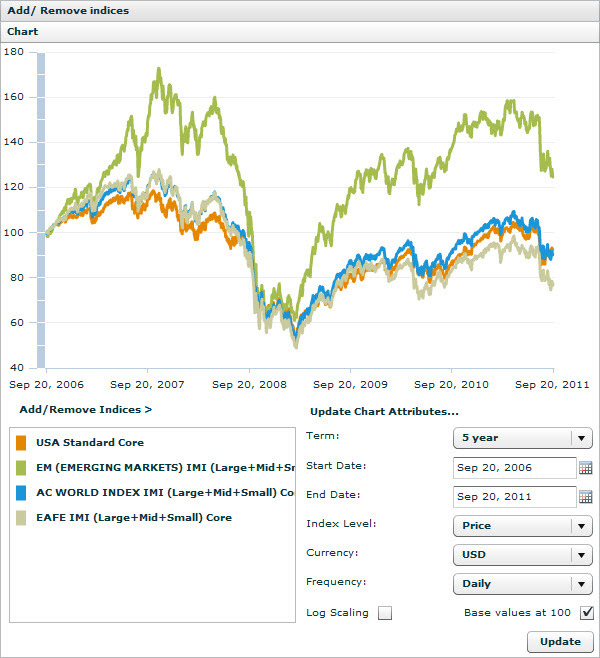 How do I find comparative data for stock market returns for countries, regions, sectors and the world? The MSCI Global Equity Indices are widely tracked global equity benchmarks and serve as the basis for over 400 exchanged traded funds throughout the world. The indices provide exhaustive equity market coverage for over 70 countries in the Developed, Emerging and Frontier Markets, applying a consistent index construction and maintenance methodology. This methodology allows for meaningful global views and cross regional comparisons across all market capitalization size, sector and style segments and combinations.